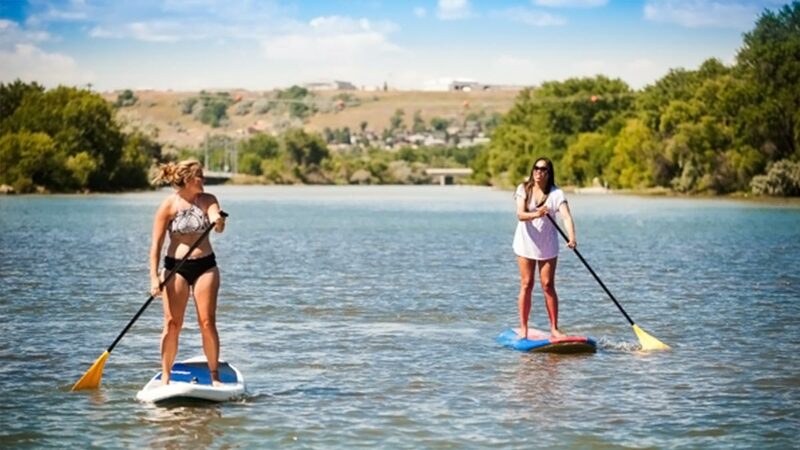 With its headwaters south of Great Falls, the Missouri River runs right through town, providing terrific spots for any water adventures: kayaking, standup paddleboarding, boating and fishing. In addition, Great Falls is blessed with 5 falls along the Missouri River. 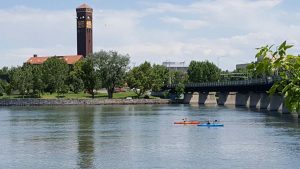 Madsen says the opportunity to catch a wild trout on the Missouri River or travel the river by paddleboard or kayak as it flows through town are a couple of those “best-kept secrets” that travelers might not expect in Great Falls. “Not only do we have a great variety of outdoor activities, but the uncrowdedness of our area makes it even more appealing,” he adds. Exceptional fly fishing has made Great Falls a Montana fly fishing capital, while the Missouri River offers multiple activities, from canoeing to speedboats. The water adventures begin with the Missouri River and expand to the Sun River, Smith River, Belt Creek, Holter Lake, Willow Creek Reservoir, Benton Lake Wildlife Refuge, and Gibson Reservoir. Begin your water exploration now!